I have a PDF form with fields i would like to have on my online WP site for people to complete and return to me. I don’t understand how your system works…what is the step by step process to upload an existing PDF to use as a form in WP . I used RightSignature.com where you can upload a pdf and designate areas on the PDF form needed to be completed. SInce I want it to be on my WP site your’s would work better for me.
. Create a Formidable Form and add the fields required that match your PDF, the form will be completed by your web users.
. Upload your PDF form (with Adobe form fields) to the plugin’s Export tab. 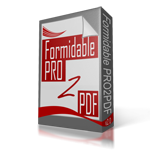 NOTE: If you name the PDF form fields the same as the Formidable form fields or the same as the Formidable Form keys, then you can take advantage of the Auto Mapping setting found on the plugin’s SETTINGS tab.
. If you do not use the auto-mapping feature, then create the field map layout by manually selecting the fields to map on the plugin’s EXPORT tab. Here a step-by-step demo video to help you. We also offer low cost services to create a complete template for you which includes the Formidable Form, PDF Form, and Field Map Layout. Complete this form if you would like us to provide you with an estimate.